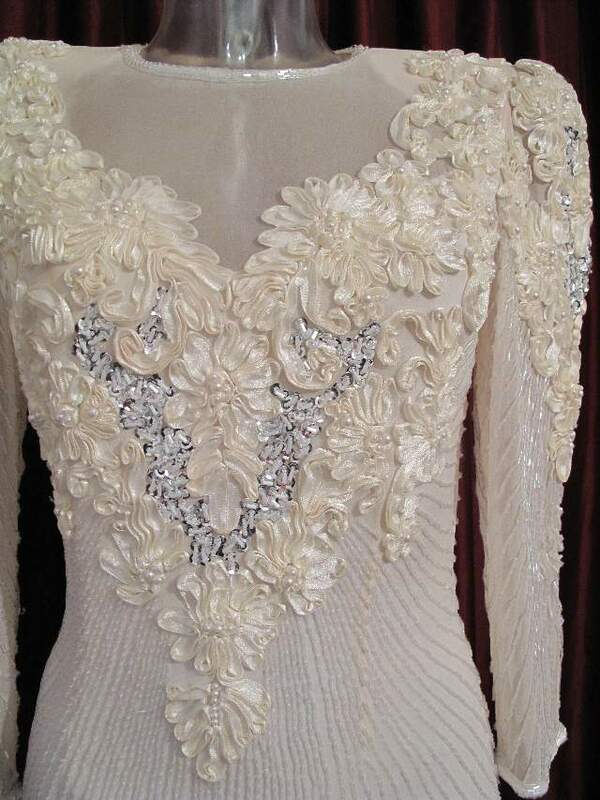 1980's Silk chiffon beaded, ribbon trim vintage wedding dress. 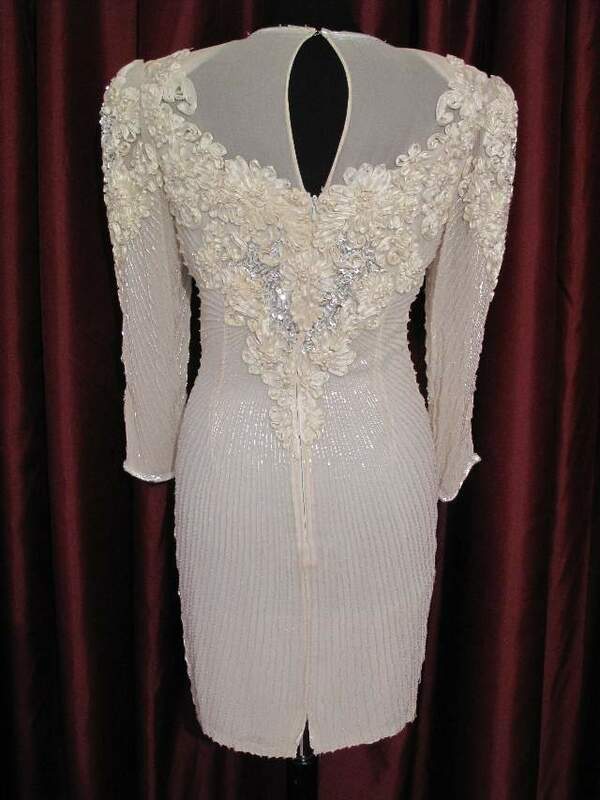 The dress has a fantastic silhouette with rounded padded shoulders and narrow skirt. 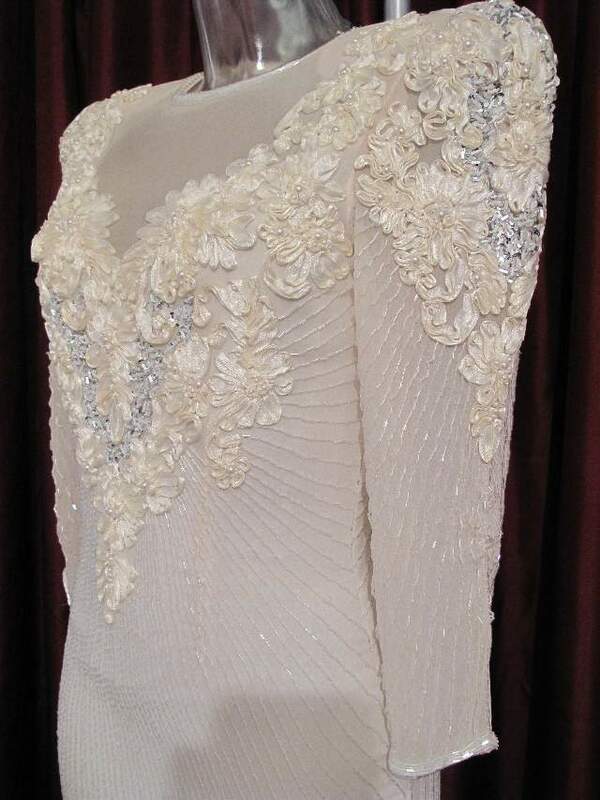 The ivory silk chiffon has ribbon stitched over bust, sleeves and back, in floral rosettes, studded with faux pearls and silver sequins. 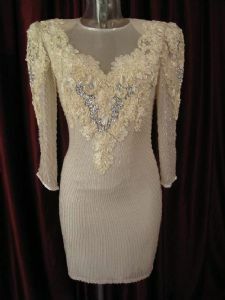 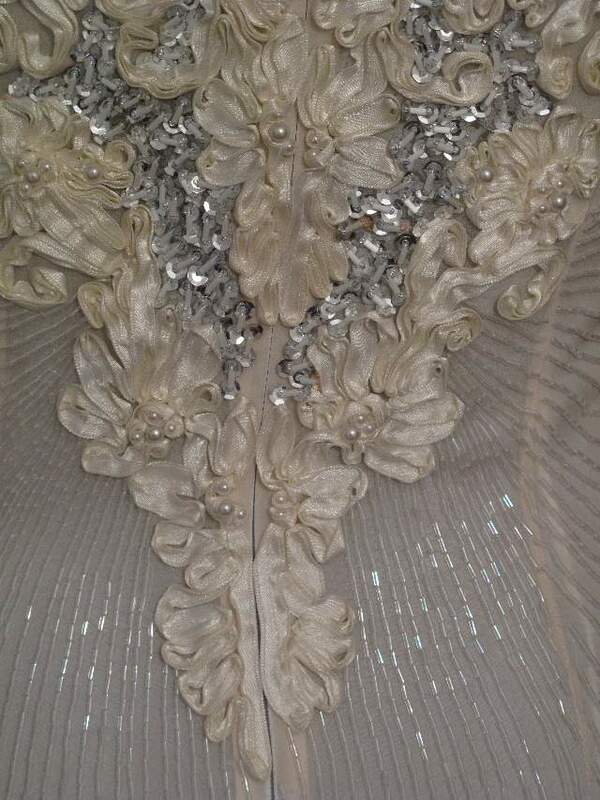 The rest of the dress is hand beaded with row of pearlised glass bugle beads. 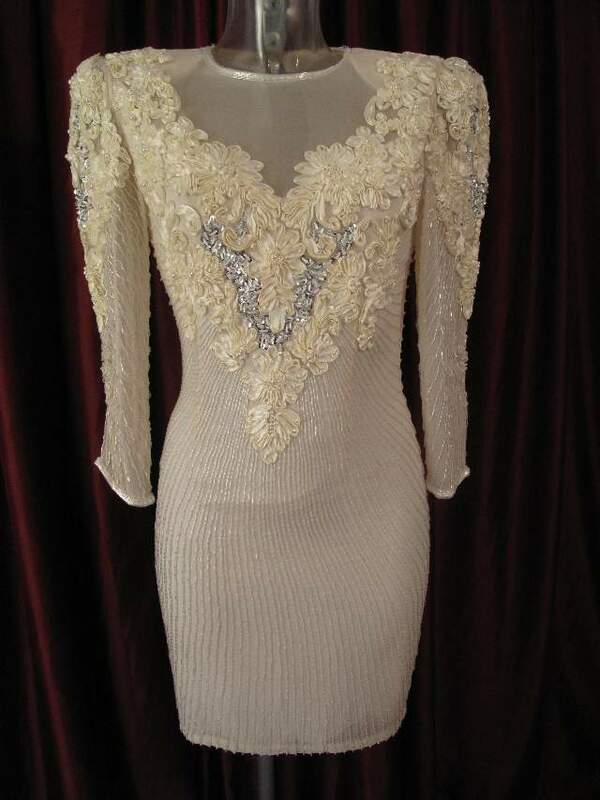 A fabulous and unique dress for a wedding, pure vintage, pure fashion.